…The day after our arrival [on the 22nd] Gen’l Grant sent an aid on board out boat to take us near to Vicksburg as it would be safe to go. It was near enough to set our watches by the town-clock and to see negroes shoveling earth upon the breast-works. Bissell was building a case-mate battery for two 30 lb. Parrotts, concealed from the enemy by the levee, at the point nearest the town; from which it was intended to open fire upon their R.R. station and Commissary storehouse, the morning after we left. The next day we went with Medical Director Hewit, to look at the camps, riding on the levee, and across one plantation on a corduroy road. The ground inside the levee even, is elsewhere impassible, the ground being all soaked, where it is not flooded, with the “seepage-water” straining through and under the leaves. The camps are near the levee; the tents being furnished with bedsteads made of saplings, lifting the men a few inches off the ground; the men of one battery, having been flooded out elsewhere, had pitched their tents on terraces cut in the slope of the levee; forming a very picturesque camp; the levee is here about 14 ft. high. 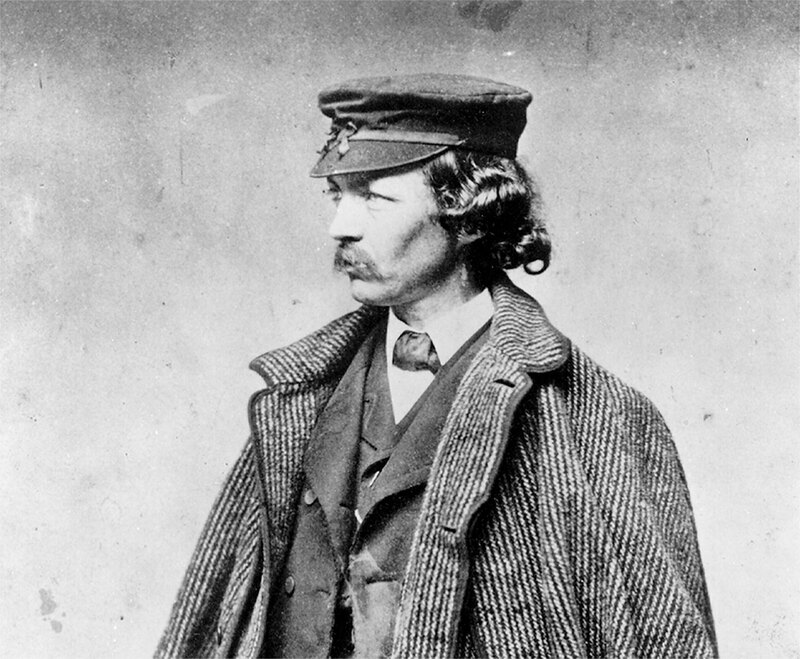 Frederick L. Olmsted helped found the United States Sanitary Commission and served as its general secretary in 1863. 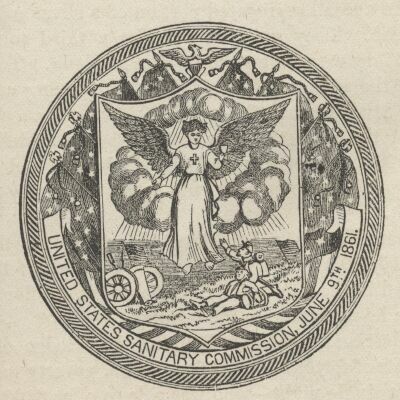 As the organization’s name suggests, its founders and agents were concerned with army health, camp cleanliness, and general well-being of the officers and soldiers. Agents visited military camps and developed reports on sanitation and health; this produced tension between some of the officers and the commission since a bunch of civilians showed up telling the military everything they were doing “wrong.” However, the commission wasn’t just being nagging, they genuinely cared about the soldiers. 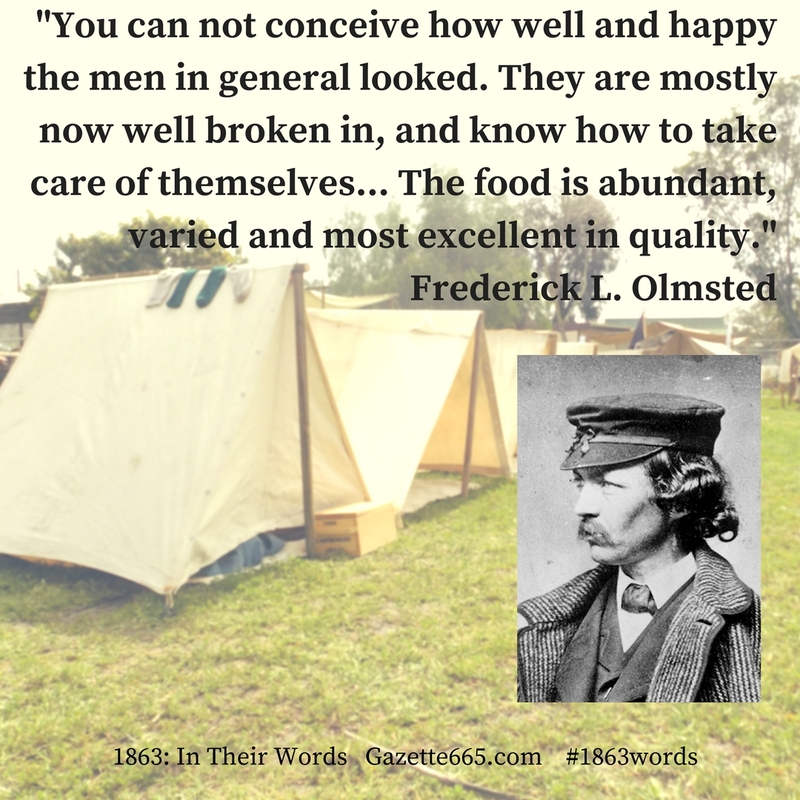 Frederick Olmsted visited General Grant’s Union army at the end of March/beginning of April 1863, to inspect the sanitary conditions in the camps. The army was already in the midst of campaigning, breaking levees and trying a variety of approaches to the Confederate stronghold, Vicksburg. Olmsted’s assessment of the army is insightful. He notes the lack of burial ground and the impression that the army was in bad shape, but then notes that the opposite is true at this point. Generally speaking, the Union troops were healthy, well-clothed, and adequately provisioned. 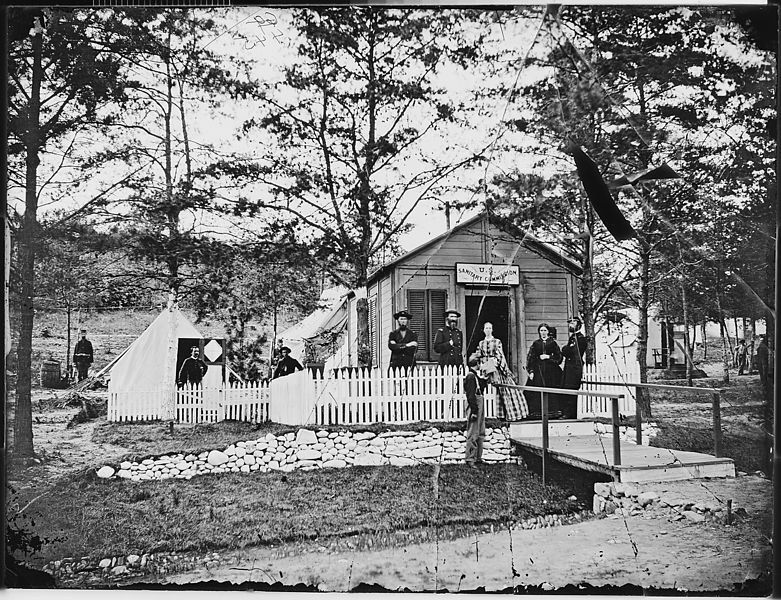 As the weeks near Vicksburg wore on the the weather got hot, the disease tolls would rise, but at this point, everything was okay by army and Sanitary Commission standards. Frederick L. Olmsted had a full life – journalism, public reform, inspiring city parks, supporting conversation. He turned forty-one in 1863. In his letter, he wished he was a soldier…if he was younger. However, it can be argued he did more good out of uniform. By helping to establish the Sanitary Commission and taking an active role by visiting the camps and overseeing the business of the organization, he helped to ensure better medical care and healthier camps, thereby saving many young men’s lives. Civilians were/are often underestimated and overlooked by the military and by themselves. Modestly, Olmsted undervalued his work, wishing instead for a more “exciting,” patriotic, and visible role. However, his work and the work of countless other civilians backed the armies – blue and gray – and made significant contributes to battlefield victories. Interesting read. Mr. Olmsted was a true patriot . Thanks for posting.